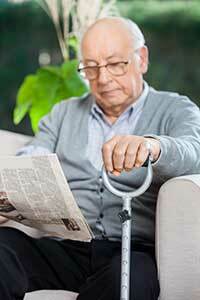 The Sterling Heights bedsore injury attorneys of Nursing Home Law Center LLC litigate on behalf of the many nursing home patients who suffer in silence due to the failure of their caregivers to take proper preventative actions to reduce the risk of pressure sores or to detect them in a timely manner. We find it reprehensible that it is now the policy of many care centers to reduce staff to levels insufficient to ensure their patients receive the type and quality of care they’ve been promised. If your loved one has developed a pressure ulcer, we would like to help you explore your legal options so that you can find the justice you seek. Sterling Heights is the fourth most populous city in Michigan with a population of over 132,000 people, 15.2% of which are over the age of 65. This proportion exceeds the state and national average and does not include the many residents who will join this segment over the next decade. With such a strong demand for quality senior services and programs tailored to promoting healthy living and maintaining independence, the Sterling Heights Senior Center was designed to deliver these services. The Senior Active Life Center is a 14,000 square foot facility that provides members with access to an indoor walking track, billiards hall, basketball court and dining room where members can enjoy nutritious and hot meals. There are numerous classes, social activities and recreational events offered through the center and a home chore program which allows members to seek assistance with many of the day to day activities they struggle with in order to continue to live without professional assistive care. For more information, visit https://www.sterling-heights.net/397/Senior-Center. There are 100 nursing homes within 25 miles of Sterling Heights, and while this provides an abundance of choice, residents must be careful when selecting the right home for their loved ones. Only 23 centers received perfect grades from Medicare, making it more likely to encounter homes that have problems than to find care centers equipped to meet your loved ones’ needs. Our Sterling Heights pressure sore lawyers suggest using the nursing home compare tool found at https://www.medicare.gov/nursinghomecompare to help eliminate inferior facilities from your list when you do need to consider placing a loved one under full-time care. Many people find that the information they gain from this tool allows them to make their decisions with more confidence, as they can see whether the center they are considering has been subjected to penalties and received a poor staff quality rating. A bedsore is usually a clear indicator that a patient is not receiving the attention or treatment promised, because of the simplicity of preventative measures available to prevent these injuries. If patients are suffering from advanced stage pressure sores, it means that there is a systemic problem and that the staff is unable to deliver very basic care. It often leads to inquiries regarding what other injuries have resulted from understaffing. In order to prevent the majority of bedsores, caregivers must only move patients every two to three hours and monitor them for symptoms of developing sores. Even if a sore develops, it can be treated with topical medications to keep it from turning into an open ulcer. This is why it truly does require neglect on a shocking level for caregivers to allow a patient to develop advanced stage ulcers over time. Nursing Home Law Center LLC is committed to defending the rights of our elderly in nursing homes and has tried thousands of cases against negligent facilities with success. If your loved one has suffered due to neglect, our Sterling Heights bedsore injury attorneys can help. Contact us today to arrange a free case review so that we can let you know more about the legal process and what options we can take to pursue the compensation you are entitled to receive. If we are unable to secure damages on your behalf, our services will be free of charge.